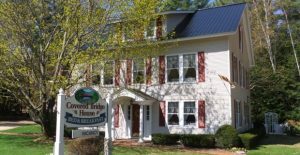 Feel at home in our charming B&B located on the Saco River next to an 1850’s covered bridge. 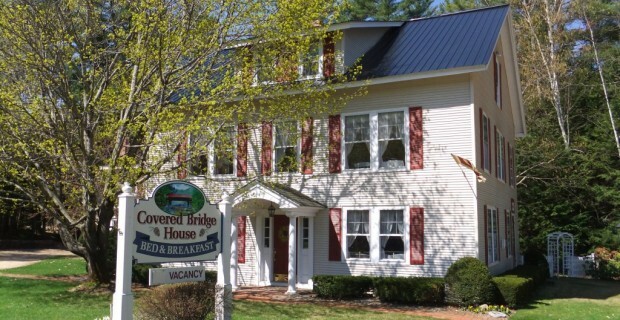 Decorated in colonial country style with braided rugs and stenciled walls, we offer a comfortable, informal atmosphere. 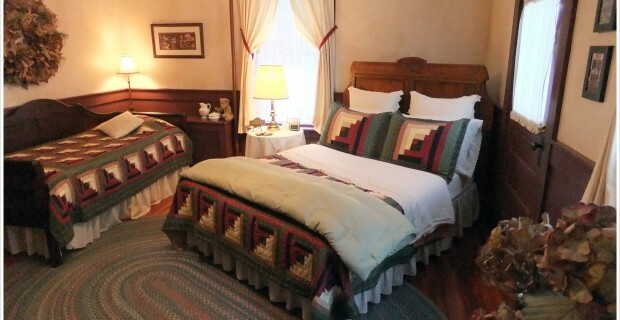 With just five tastefully decorated guest rooms, including our popular two bedroom family suite, and a cozy living room, our inn offers a comfortable, informal atmosphere. We serve a hearty country breakfast each morning in our sunny dining room or on the patio in warmer weather. Enjoy the beauty of the river in our backyard – swim, tube down to the bridge, fish or sunbathe on the rocks. 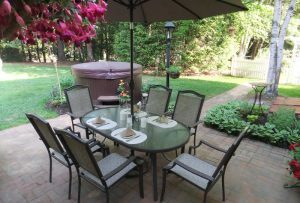 In any season, a relaxing soak in our outdoor hot tub is a perfect way to end the day. Check our website for our fabulous mid week golf package, discount vouchers for the Mt. 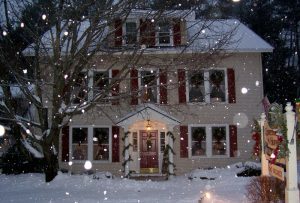 Washington auto road and incredible winter ski packages as well as our everyday affordable rates. 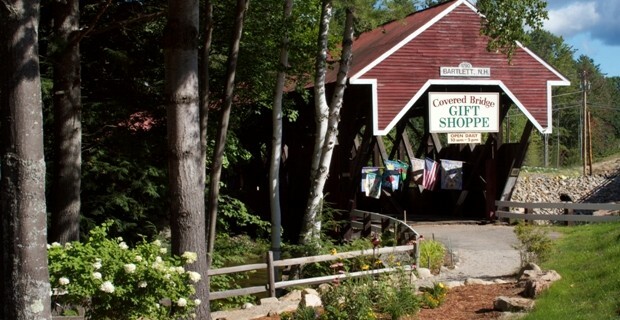 The historic Bartlett Covered Bridge now houses our gift shop, the only gift shop to be located inside a covered bridge! But there’s more to our shoppe than just a great location. We feature a distinctive collection of country home decor items including candles and accessories, throws, pillows, wall art and pottery, chimes, plush animals and a very large selection of flags, all at reasonable prices in a friendly atmosphere. In addition, we offer a full line of souvenirs including a great selection of T-shirts and many covered bridge items ranging from prints and ornaments to mugs and earrings. Our shoppe is open daily from 10am to 5pm, Memorial Day Weekend through October. 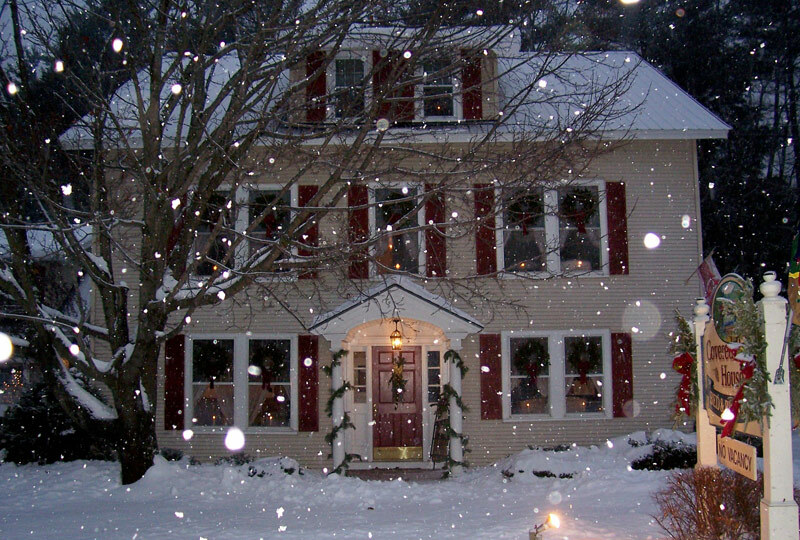 We are also open on December 14th & 15th for our Holiday Cookie Tour weekend. 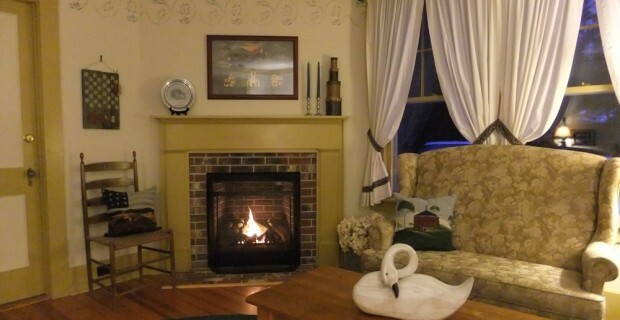 Beautiful and cozy – just what we had hoped for and more!